Working out can be so boring! Who came up with treadmills that face the wall? The same workout playlist day in and day out… The same protein bars as an after workout nutrition break… Plain old bottled water… If you don’t mix up your workout routine, it can get tedious and you will be less likely to go out and continuously exercise. So, what do you think? 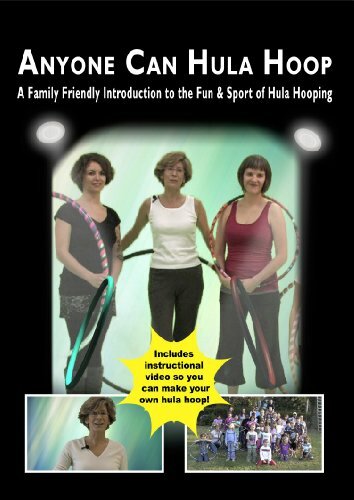 Can you lose weight hula hooping and having fun? You bet you can! You don’t necessarily have to go to the gym every day. There are plenty of activities that get your heart rate up, help you lose weight, and improve your health. Some of these activities may be surprising. For example, there is a hula hooping craze that is sweeping gyms and outdoor workout venues everywhere. Can You Lose Weight Hula Hooping? Here are a few ways hula hooping can help you in your weight loss journey. 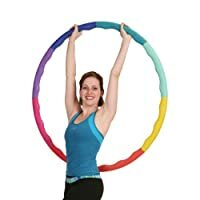 Experts are saying that using a hula hoop to exercise provides your body with a great cardio work out and also helps you meditate (because of the repetitive motion of your hips and other body parts). It also includes elements of yoga. Other benefits to your body include toned muscles (it sculpts lean muscle) and weight loss. Scientists at the American Council on Exercise did a study which concluded that hooping can burn about 420 calories an hour. Their findings also concluded that larger hoops can help those who have difficulty mastering the movement needed to keep the hoop up in the air. This study found that it burns about seven calories a minute. That’s about the same as if you were to go on a brisk walk around the park and more than if you were to do step aerobics. Hula hoops also come in weighted versions. If you’re wanting to really work your muscles, try to use a two pound hoop. In fact, these hoops might help you if you’re having issues hula hooping in the first place. In addition to a bigger hoop, try one that is weighted so that it can generate momentum for you. Hula hoop classes are often held outdoors because of the space needed for each person. Kelly Strycker works at Chicago Hoop Dance, which is a community-based group of people from all walks of life: teachers, students, and performers. They practice hooping in as a form of exercise, meditation, and fun. As the director there, she holds the classes at local parks and beaches around Chicago. Her classes normally involve around a half an hour worth of yoga, squats, lunches, and hooping for your hips and other body parts (wrists, hands, shoulders legs, and your waist as well). She says that the rocking movement that is needed to keep the hoop up helps you keep a rhythm which excites your heartbeat. You can find a certified instructor in your area or find a hooping DVD online or at a local media place (like FYE or even big box stores like Target). One of the great parts of hooping as exercise is that anyone can do it (given the practice of the movement). Kids love hula hoops. Older women that can still rock that motion can use hula hoops as exercises too. It will keep their joints from getting too stiff and will help tone muscles and keep them active as well. Truthfully, you don’t need something super fancy to start hooping to work out. Just build your own playlist on your iPod and hoop to the beat. Try a varied beat (with different songs). Hoop in the opposite direction (this will help you stay even as well). As you become more of an expert, you can do things like knee lifts to really challenge yourself. Don’t forget to add arm movements also. In order to turn this workout into a full body workout, try to add some flexibility training, arm movements, and squats as well. There has been a craze of hoopers lately, from the First Lady (Michelle Obama) to actresses like Zooey Deschanel. Even Kelly Osbourne is in the hooping craze. So much so that she says that it is one of the ways that she lose weight (in addition to running intervals, weight training, yoga, and Pilates). Now it’s your turn. Is there something that you do for exercise that’s a bit on the unconventional side? Have you tried hula hooping as an exercise before? 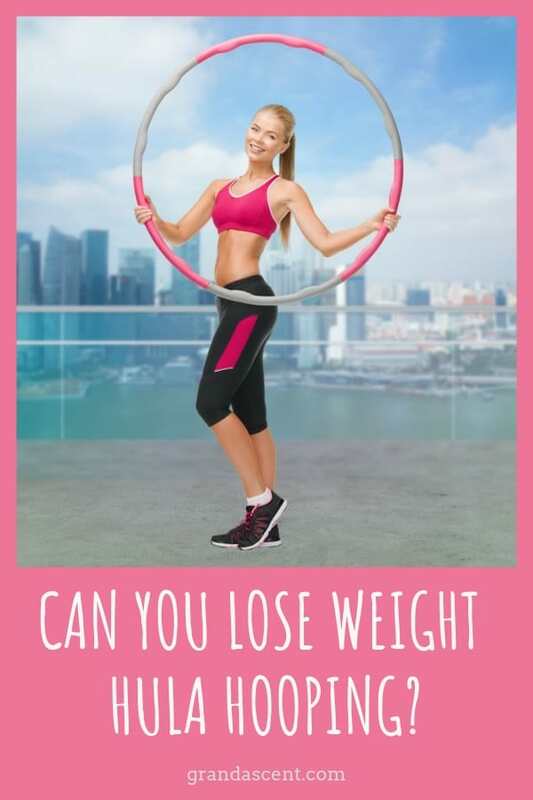 What do you think: can you lose weight hula hooping? Do you have any tips for newbies who can’t quite get the rhythm of hooping? Have you tried to hoop with a body part other than your waist or hips? We’d love to hear your thoughts on the matter! Write down your ideas, remarks, and questions in the comment section below. What a great idea!! I get so bored doing the same workout over and over, so much so that often I just give up. I need something fun to do and this looks really cool! Well, that’s an inexpensive way to lose weight! Awesome way to get your core in shape, too. I’ve always been terrible at hula hooping, but I figure this one might be worth a try. Having a variety in your workout is definitely a must. I go swimming at least twice a week and I have a Zumba class and a belly dancing class every 2 weeks. I never thought of hula hooping though but it sounds like a great idea. I actually do this with my kids on the Wii so there is no actual hula hoop involved, but there are different levels and challenges. This is actually pretty awesome if I can say it before anyone else does. I have not thought about a hoop for years and to be totally honest here today I spent an hour on the bike. After running the math for the same amount of time I was only burning a little over half what a hoop would do. Guess what I am buying this weekend? I wish I could hoola hoop. I can’t seem to keep it on my hips. I can hoop around my neck, arms and legs but not my hips. I feel so foolish when I’m doing it too. We do hoola dancing at our Zumba class. We spend about five minutes of each class doing these exercises. We don’t use the hoop though. It’s a good thing because then the class would know what a klutz I really am. I did it too and I scored really low. I was shocked. I was moving my hips so fast and I was even switching directions. My kids laugh so loud at me when it is my turn. I still do it though and my hips hurt when I’m done. Correct, we don’t use a hoola hoop. We just move our hips. I have unlocked a few stages but I’m not really good at it. I will keep at it though. I didn’t realize it was so good for you. From what I remember it takes a little practice and a lot of determination. I had a problem for years of barely slanted hips so it is still an issue for me but after a few minutes I get into the swing of things. 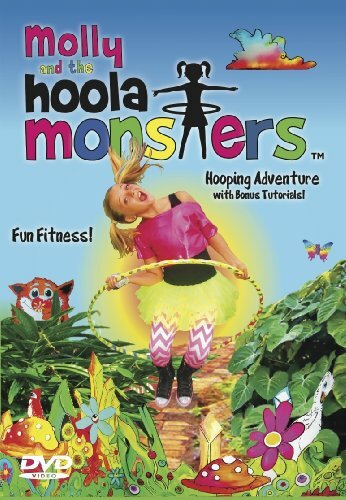 I have actually never tried hoola hooping myself. It looks like so much fun but I was wondering if it’s hard? I assume it will be a lot of hip work just like belly dancing, right?